The Washington Department of Ecology is conducting a September 11 to October 26 environmental review of the PacWest Silicon smelter proposed for 180 acres near Newport, on the Washington-Idaho border [1-3]. The facility would produce up to 73,000 tons of silicon metal each year, from B.C. quartz rock heated to extremely high temperatures with wood chips, coal, and charcoal. The Ecology Department is seeking public input on the scope of its environmental impact study and statement (EIS), analyzing potential project effects and options for protection of the natural environment and nearby communities, including air and water quality, plant and animal habitat, cultural resources, and regional transportation. 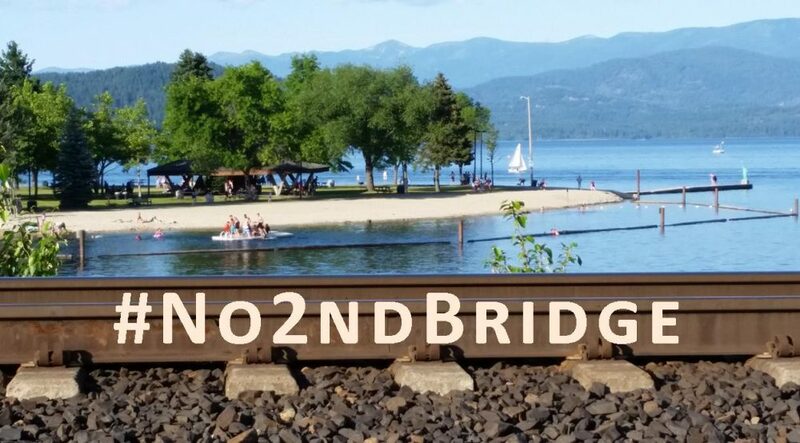 Wild Idaho Rising Tide (WIRT) and allies invite everyone to a winter solstice celebration and the December Sandpoint WIRT meeting, one of two gatherings held every month on the first Wednesday in Moscow and on the third Wednesday in Sandpoint. 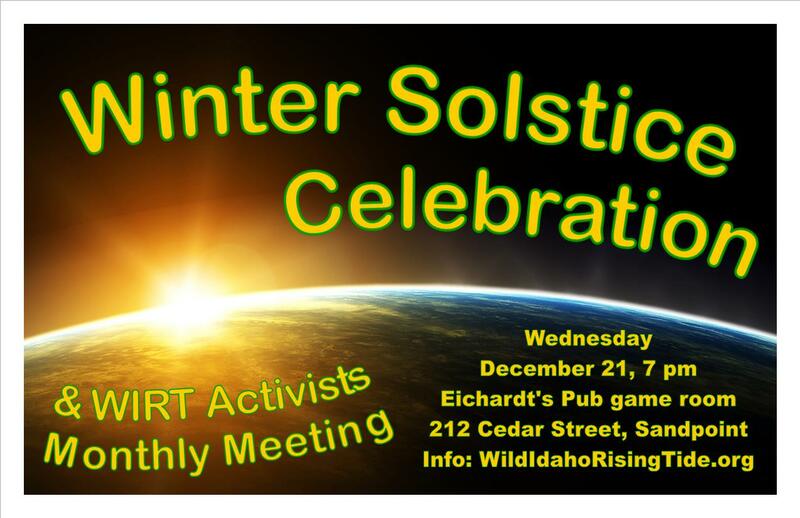 On the December 21 solstice, we are converging at 7 pm in Eichardt’s Pub upstairs game room, 212 Cedar Street in Sandpoint. Join regional climate activists on the first evening of the solar new year for food, beer and wine, and conversations creating campaign strategies and tactics for actions and events supporting the movement against extreme fossil fuels and for clean energy, livable communities, and especially climate justice.